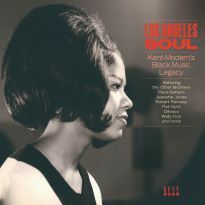 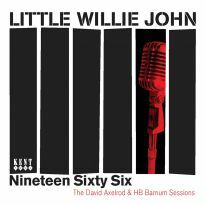 As Ace’s catalogue of 180g vinyl albums grows, so does the amount of vintage soul music contained within it. 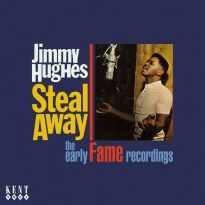 This month we’re pleased to add a newKenttitle in the shape of a 50th anniversary reissue of the inaugural Fame Records album, the debut LP of the label’s first major star, Jimmy Hughes. 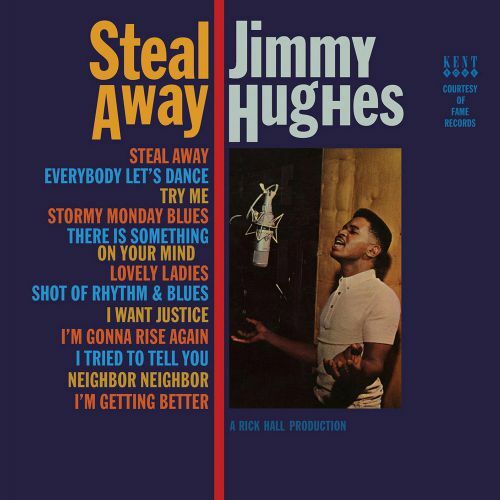 Jimmy’s breakthrough hit ‘Steal Away’ introduced a new kind of music called southern soul as it eased its way into the US Top 20 in the summer of 1964. 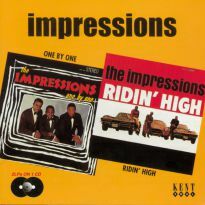 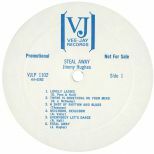 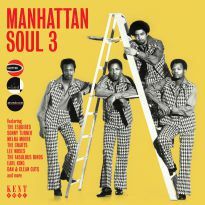 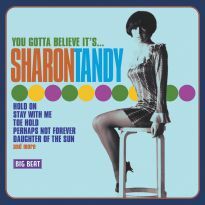 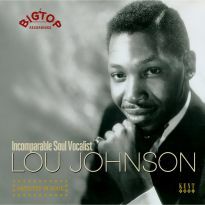 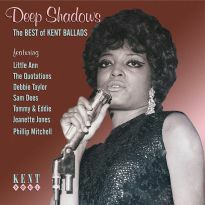 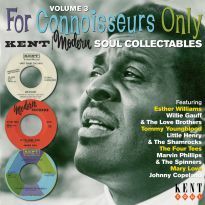 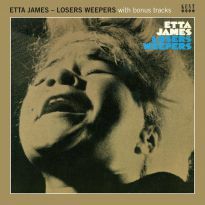 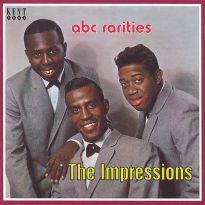 The song’s attendant album was issued later that year, but its chart prospects were hampered by the slide towards bankruptcy of Vee-Jay, Fame’s distributors. 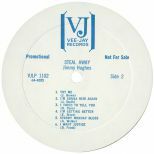 Original copies of the album seldom turn up, and when they do they are often not in premium condition, making this like-for-like reissue all the more welcome. 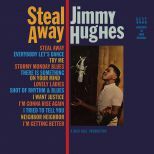 As well as the title track, the album contains both sides of each of Jimmy’s two follow up 45s and a bunch of other nice things. 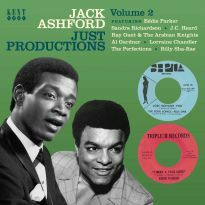 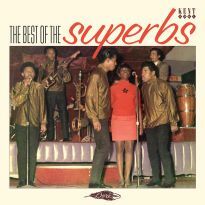 This was the only Fame album to feature the studio’s first great rhythm section, most members of which relocated toNashvilleshortly after these tracks were recorded in order to join the busy local session scene there. 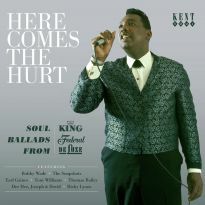 Fame founder and studio boss Rick Hall’s production techniques have stood the test of time well, and the tracks here do not sound like 50 years have gone by since they were recorded. 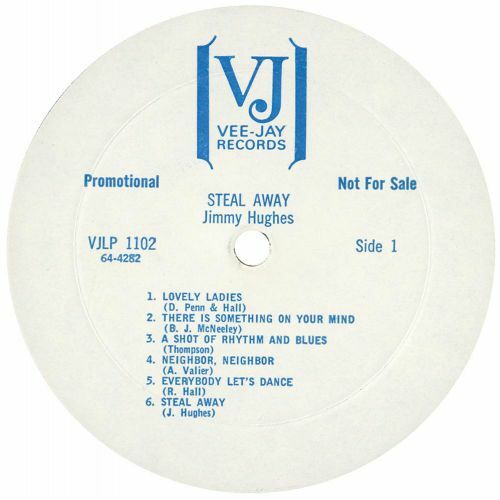 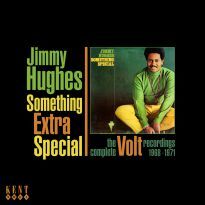 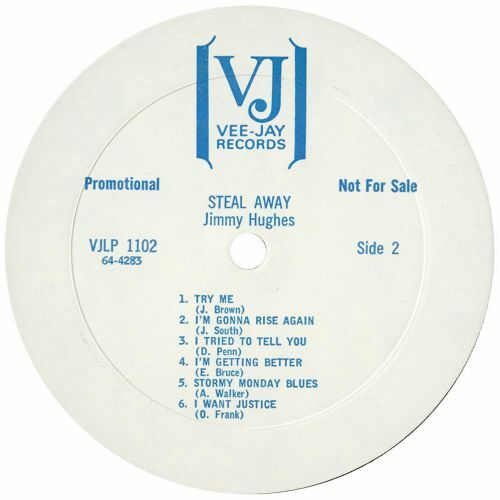 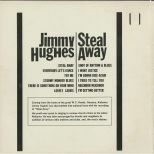 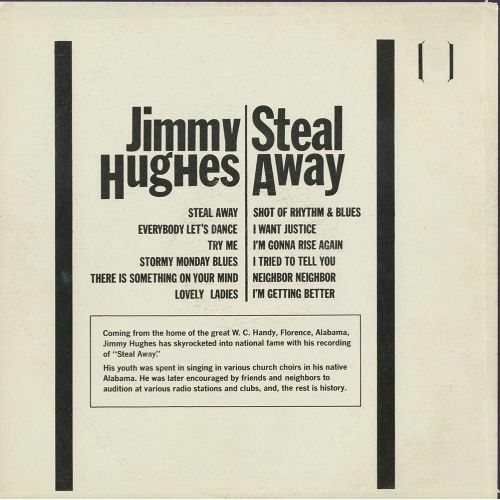 Jimmy Hughes never made the sustained chart impact subsequent Muscle Shoals-associated stars such as his cousin Percy Sledge and Clarence Carter did, but the tracks here show his talent was never in doubt. 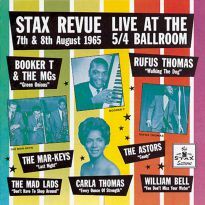 It’s good to be able to restore the album to catalogue after so many years, on fetching blue vinyl to boot.